Michelle has been a Board-Certified Adult Nurse Practitioner since 1999. She graduated with Honors from Wayne State University in Detroit, where she received both her Bachelor and Master of Science degrees in Nursing. 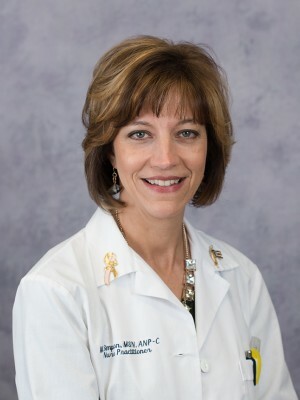 She is a member of the Michigan Council of Nurse Practitioners. Prior to joining Imlay City Family Practice in May 2013, Michelle has worked in a variety of specialties including internal medicine, stroke rehab and geriatrics. As a Primary Care Provider in Imlay City, she truly enjoys caring for the entire person, as well as many generations of families. Michelle lives in Romeo with her husband, son and daughter. She is active in her church community, where she serves as the Christian Service Coordinator. In her free time, she enjoys gardening, cooking, wine tasting, and going up north to their cabin with extended family and friends.